The rural e-commerce market may be a $12 billion opportunity in the next four years, but are the rural consumers really ready to embrace online shopping? Reliance Retail may be gearing up to offer assisted e-commerce facilities (wherein the consumers would be helped to browse, shop and pay) at its 5-odd Jio Points, but if you walk into any home in rural India and ask the lady of the house whether she would be happy if her grocery and vegetables are delivered at door to her, she may not like the idea. The reason for this is her social life could take a beating. In rural India, bulk of the social interactions happen in bazaars and in the neighbourhood stores. So, an e-commerce major's convenience positioning may actually backfire. One of the reasons people in rural India don't buy a large pack of shampoo and prefer a sachet, according to Sridhar Gundaiah, founder of rural distribution company, Storeking, is because it's not just cheaper, but also allows them to visit the store repeatedly so that they can catch up with their peer group. "While assisted e-commerce is the way to go in rural India, retailers need to understand the needs of a rural customer. They need to have an understanding of the kind of products and sub-sets that will work in these markets. A rural consumer doesn't necessarily need a huge catalogue of products; it is all about having a precise catalogue." He cites the example of a village in Karnataka where all the homes have Bajaj Splendour motorcycles in red colour. "They have a peer mentality. If one person has bought a bike in red colour, the others like to ape. They go for only a red and not a black or blue, not even a Pulsar," explains Gundaiah. Amazon, in 2016, rolled out its assisted rural e-commerce initiative Udaan, which hasn't really taken off. And the reason for this is that 80 per cent of its merchandise doesn't appeal to the rural audience. If they want to buy a branded shirt, they would rather visit a V-mart store in the neighbouring town. It would be a family outing for them, they would get to shop in an air-conditioned environment and most importantly touch and feel the products. Rural India continues to be swayed by the touch and feel experience. Retail consultant, Govind Shrikhande agrees that rural e-commerce is at its infancy. "The rural markets still have to go through the change phase. While they may be assisted by someone to browse, handling a device isn't easy and the app itself isn't language friendly. Therefore, unless there is an Alexa kind of a voice device which will talk in the local language, it could get intimidating for the consumers." 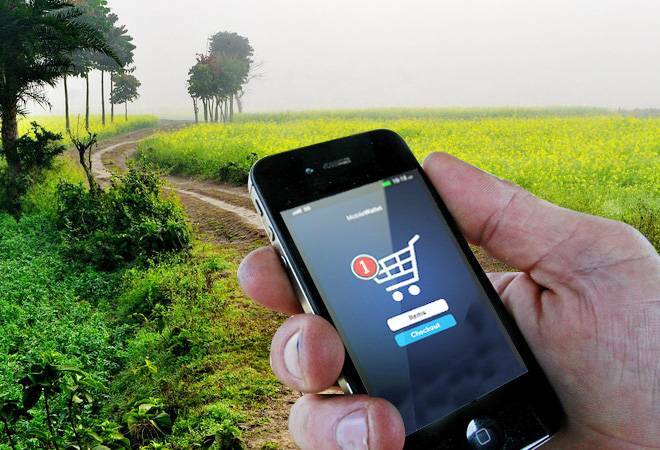 In order to capitalise on the $12 billion rural e-commerce opportunity, the giants need to first be rural-ready and that could take a while.